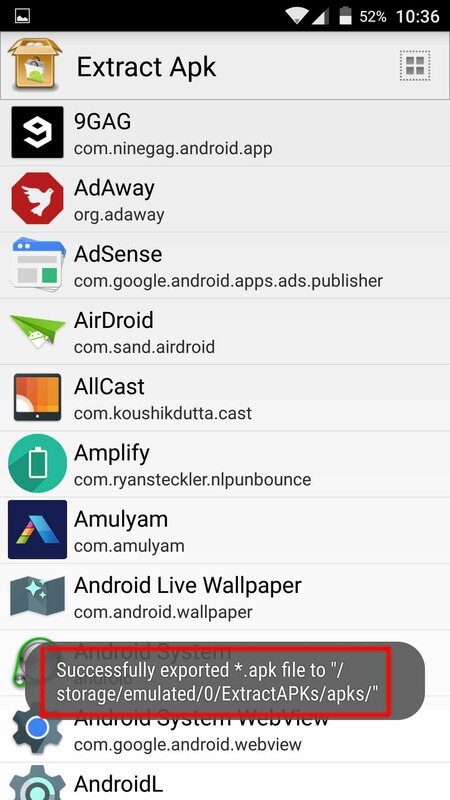 Here’s a small guide, to save apk files of apps downloaded from Google Play Store. 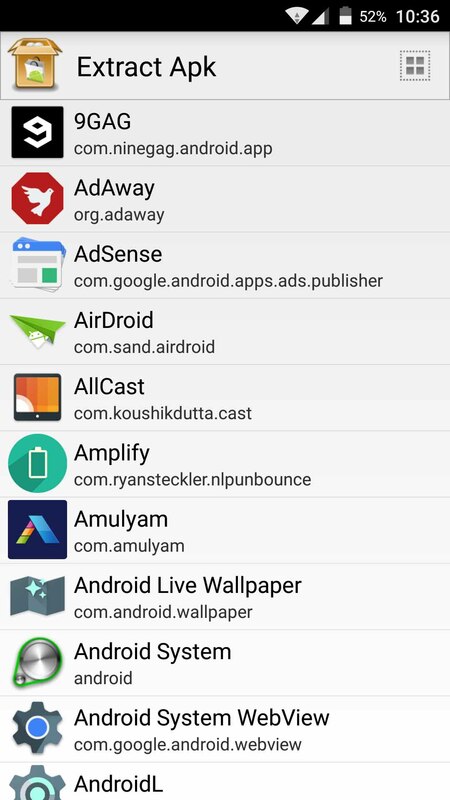 Step 1: Download and install Extract Apks from Play Store. Step 2: Open the app and there, you will see the list of apps installed on your device. 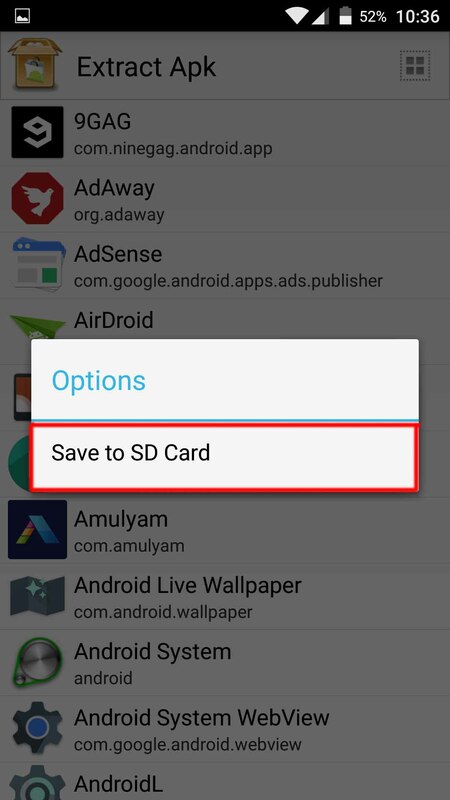 Step 3: Select the app from the list, a popup with Option ‘Save to SD card’ will appear. Step 4: Select Save to SD card. That’s it, Apk files of selected apps are now saved in Internal Storage of your device in the folder named ‘ExtractAPKs’. From now, you can share those apk’s with your friends and they no need to download again the apps from Play Store. Subscribe to our Newsletter or follow us Facebook to get updates from us.